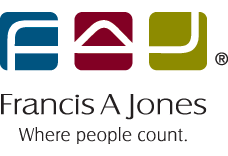 When your tax return is due, Francis A Jones, the Fremantle tax return specialists are here to ensure you don’t pay any more tax than you need to. Personal taxation requires a knowledge of many complex taxation laws, rulings and decisions, and the ability to apply and explain these in a practical manner – just what we do at FAJ. FAJ specialises in preparing individual tax returns, lodging thousands of personal tax returns each year. Our decades of experience and constant technical development will ensure that you claim every deduction that you are entitled to, so that you get the tax refund you deserve. The FAJ difference is that each individual return is carefully prepared by a professional qualified accountant, who works full-time in the taxation industry, and is up to date with the latest changes to tax laws and their application, and updated tax rulings from the Commissioner. With their extended knowledge and practical experience they can also answer any GST, capital gains, superannuation or other taxation queries. Many of our clients have been with us for a number of years, many for more than 30 years, some as much as 50. 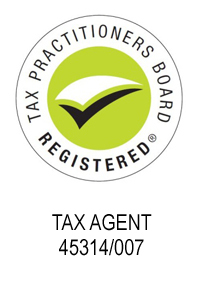 Most clients return year after year for the peace of mind in having their tax return lodged quickly and accurately. Most returns can be prepared while you wait in around 30-45 minutes from our Fremantle office. We lodge all tax returns electronically so that you receive your refund within 14 working days or less, after checking for accuracy at our office. Contact us for an appointment and allow us to take the pain out of lodging your tax return. We are open on Saturday mornings during July and August each year, and will arrange after hours appointments where possible to suit your needs.